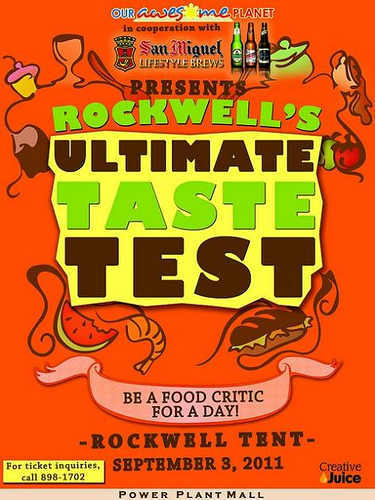 The Ultimate Taste Test is back with more great food finds! 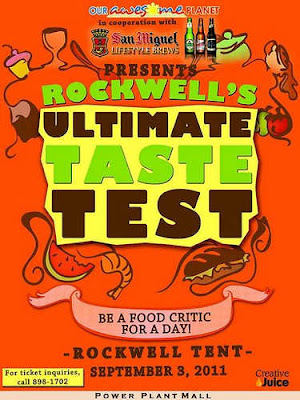 Happening this September 3, 2011 from 11am to 9pm, at the Rockwell Tent, Our Awesome Planet founder Anton Diaz will round up 55 food concessionaires for a whole day of eating. Be a food critic for a day! A fun concept by the organizers, all attendees get a chance to sample the products of the concessionaires and each one will be graded. The ones with the best scores will be featured in Our Awesome Planet site. Yummy magazine will also join the fun and will give out freebies to the first 500 attendees! So be there early. -Creative Juice office, 2nd floor Fun Ranch, Tiendesitas. If there’s sugar-less, there’s sugar-full! My First Bite: Delicious Kitchen by Eat Well!